The past 10 days have included a trip to urgent care, 3 days of company, and a weekend of contra dancing so I pruned my finely tuned schedule instead of stuff. Fortunately 2 of those days were Sundays and the rooms didn’t contain a lot of stuff to give away. LIVING ROOM: Since our furniture is all functional, I turned to drawers and our music cabinet. Cassette Tapes. I know tapes are dinosaurs but we have a CD/tape player that can still play cassettes. I had 97 tapes and ruthlessly culled 31 leaving 66 tapes, some as current as 2,000. 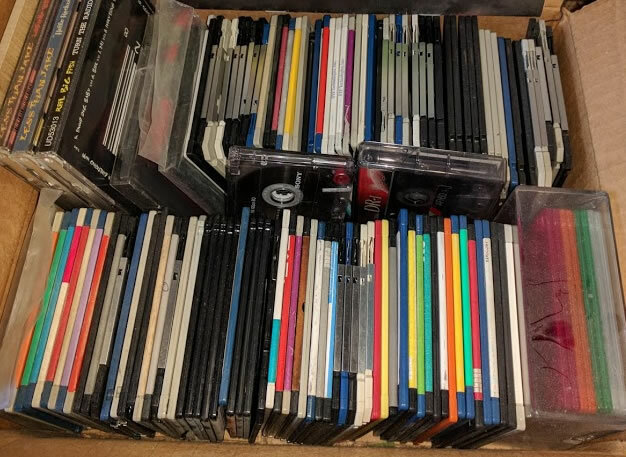 CDs: I had 104 CDs. I gave away 5 at the dance music swap, so I now have 99 CDs. 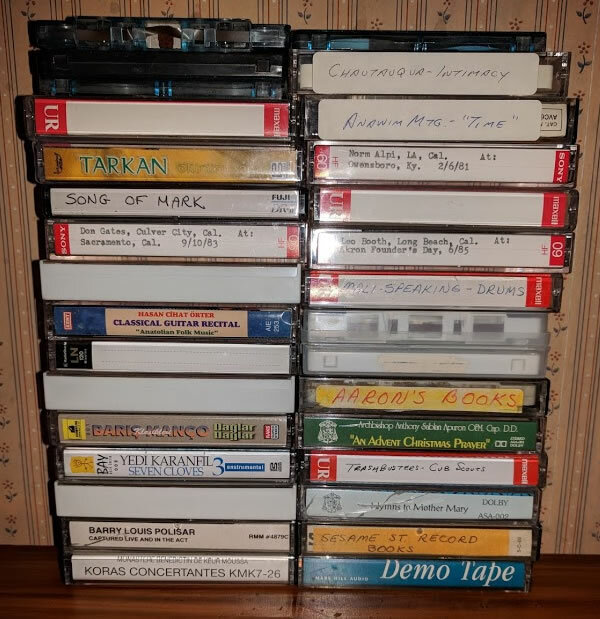 If this sounds like a simple math process, even though tapes and CDs take up very little room it takes a lot of time to sort them into categories and mark the cabinet with Contra, Musicals, Folk, International, Social Justice, Seasonal, and Background Music labels. Outdated Directories. The only things I was allowed to ditch from end tables were 2 neighborhood Directories from 2004 & 2008. My husband insisted that all the large atlas’s were his domain including a large 2005 topographical atlas of Denmark. We’ve never been to Denmark. • 131 floppy discs. I’m not sure which young adult left them but many seem to be back-up discs or role playing games. • 3 slide carousels. (OK, these are probably parental relics and will go to whichever thrift shop will take them.) Click here for creative uses. I’ll never use these but they’re fun to imagine. • Things to be relocated: 33 old LP albums from the 60’s-70’s. For now they will go to the basement with 50 other old LPs next to the phonograph that doesn’t work. I’ll deal with that later. 1. Getting permission: I could get rid of a lot more stuff, if I didn’t have to get the kids’ and spouse’s OK lest I risk family disharmony. 2. 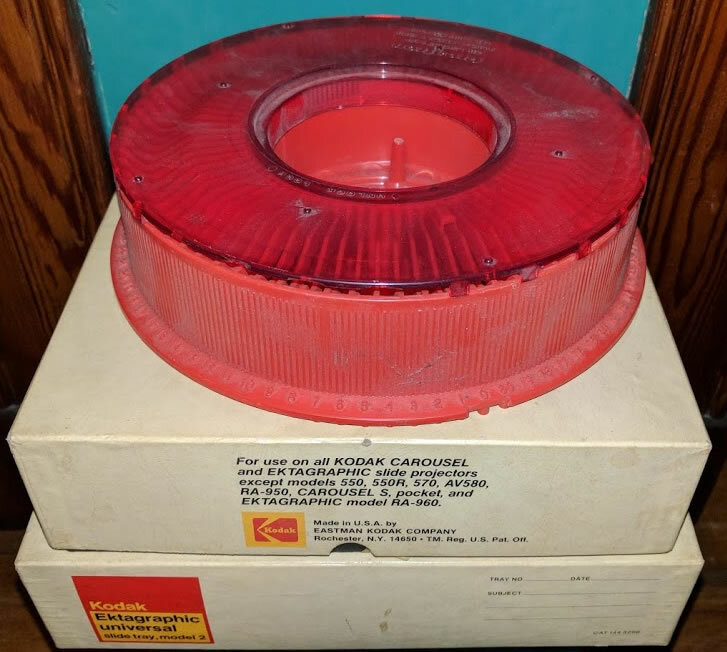 Guilt: Obsolete items like slide carousels, floppy discs, outdated campaign paraphernalia are easy choices to discard but I get a pang of guilt since I don’t know of a worthy home to give them to and don’t want to just contribute to a landfill. 3. It’s habit forming: The mindset of giving things away is growing on me. 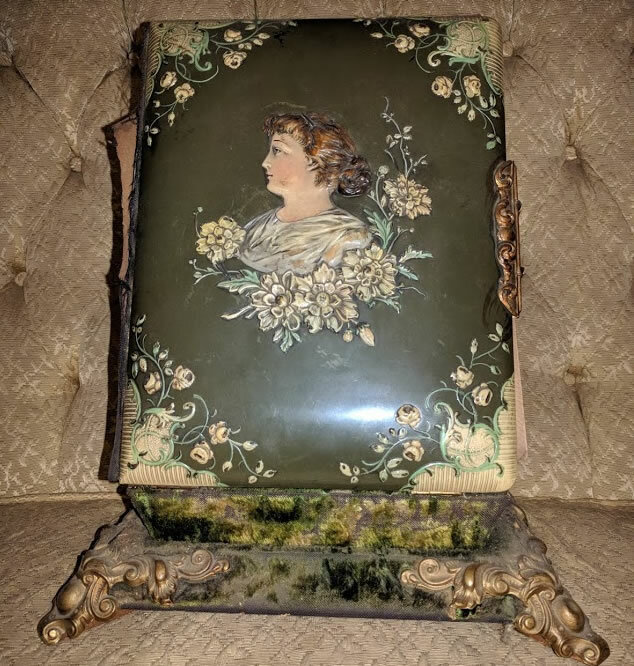 Items that I thought I didn’t want to part with yet from past rooms, are starting to feel rather unimportant to save in the grand scheme of life and what I actually use. 4. Catharsis: Emptying out a space, cleaning it, and reorganizing the contents, even if barely anything is deleted, can take more time than just pitching it. But it does make me feel better. 5. Time: Half an hour a day always feels too short once I get on a roll, but some days it’s hard to justify even 30 minutes. #1 | Written by Anya about 2 weeks ago. Husband and kids…we have beer-making supplies because my husband used to make his own beer. It’s been at least six years, because he hasn’t made it in the lifetime of our youngest. On the plus side, he just culled his book collection using the whole Marie Kondo “sparks joy” thing, and I’m hoping he will realize that especially since he hit his 40s and stopped drinking altogether, the fermentation gear hopefully no longer sparks joy. Fingers crossed. #2 | Written by Jim Veihdeffer about 2 weeks ago. Hmmm…”our furniture is all functional” — one wonders what “non-functional” furniture might be. A hammock? A table with no knickknacks on it? An antique chair not meant for sitting? #3 | Written by Ray Hassard about 2 weeks ago. Glad you got rid of the CDs you added to my table. I am wondering if we should maybe announce a CD swap next year for everyone who comes to Pigtown to bring old CDs to trade. We all have tons of them. And I’ll have my usual couple thousand classical discs, I assume.